AMD has quietly launched four new Ryzen processors. I say quietly, as these CPUs are now official and listed, yet this news doesn't come via an official press release, rather it was shared by tech site AnandTech. All the new processors are "immediately available". The new E Series processors from AMD are the first six and eight -core CPUs featuring a 45W default TDP. AnandTech explains that the Ryzen 5 2600E and the Ryzen 7 2700E processors will enable PC makers to build small form-factor desktops that do not need high-performance cooling. They are clocked a little slower than their 65W relatives, 300-400MHz slower, in order to cut the TDP by 20W. AMD maintains the cache sizes compared to the respective processors' X Series counterparts. Lastly, and appropriately, these E series chips don't support Precision Boost Overdrive. There are two new X Series processors; the Ryzen 5 2500X and Ryzen 3 2300X. 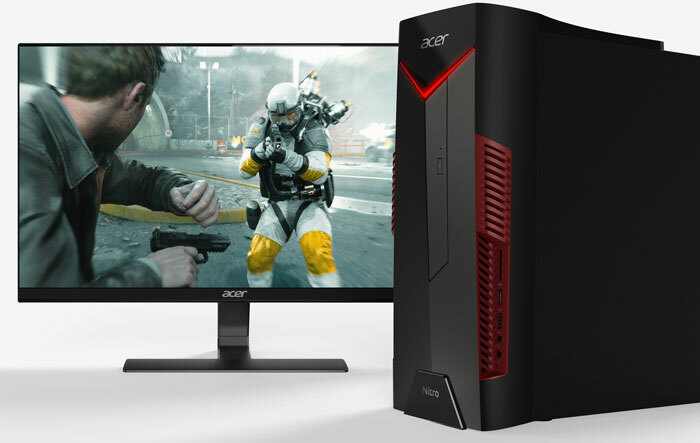 AnandTech notes that these 65W processors have been launched to coincide with the availability of the new Acer Nitro PC system. The 2500X and 2300X, at quad core/eight threads and quad core/four threads mark a change for AMD in the way it configures the silicon. In Summit Ridge predecessors these parts were made by disabling 2 cores per compute complex or CCX (2+2 CCX config). This time around these processors feature a 4+0 config, or an entire CCX disabled in the Pinnacle Ridge silicon. A knock on effect is that the L3 cache of the new X parts is only 8MB, rather than 16MB, nevertheless AMD is quoting an 8-10 per cent gain in performance over the previous generation for these parts. Last but not least the new X Series parts support DDR4-2933. 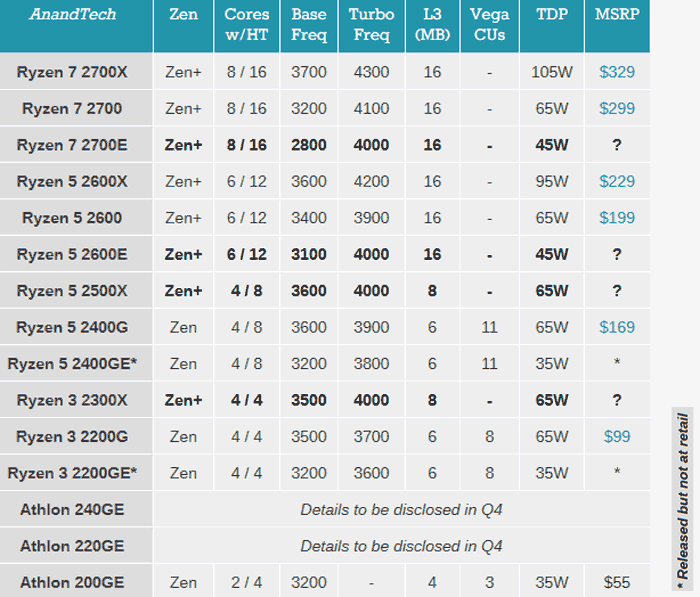 For a summary of the new offerings and to see how they fit into the currently available AMD mainstream product stack please refer to the table, from AnandTech, reproduced below. The new processors are listed in bold type. As you can see, pricing is yet to be shared for these "immediately available" parts. 8 cores, and 16 threads. Also, with Intel's current shortage of 14nm capacity….. AMD might be able to steal a little bit of market… Just imagine an ultraportable with 8C/16T and discrete graphics. Surely the creatives would go mad for it?